Located in Ardmore, Oklahoma, Eileen's Colossal Cookies are a local delecassy that attract fans from near and far. Along with fantastic baking, Eileen's offers fundraising options for groups looking to raise money for particular causes. 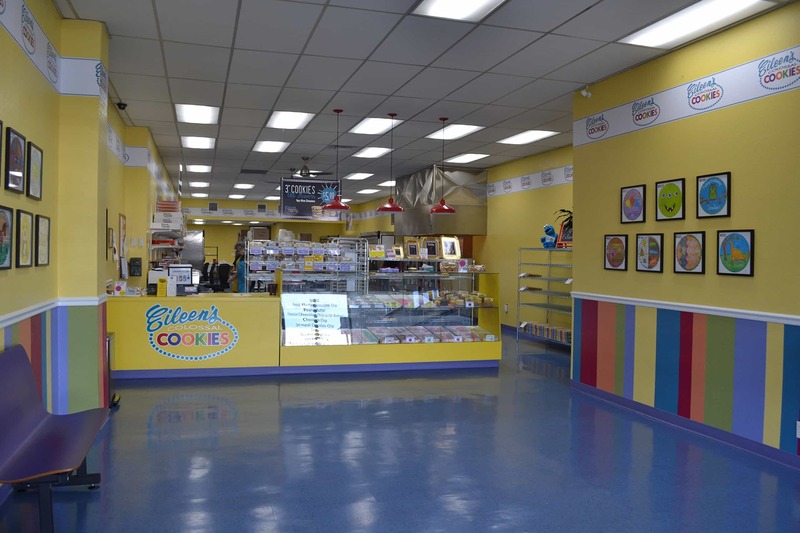 Eileen's offers 13 fabulous flavors: Chocolate Chip, M & M, Lemon, Snickerdoodle, Sugar, Monster Oatmeal, Oatmeal Raisin, Peanut Butter, Oatmeal Scotchies, Oatmeal Chocolate Chip, Chocolate Chip with Walnuts, Macadamia Nut with White Chocolate Chips and Peanut Butter Chocolate Chip. For those looking to bake something similar at home, Eileen's also offers dough and frosting to go. Stop by and enjoy a cookie or two next time you are passing through Ardmore, Oklahoma. Stephanie's Boutique located on Ardmore's historic Main Street offers shoppers a wide variety of clothing, jewelry, and accessories. With 32 years of experience, Stephanie's Boutique offers great service and great selection!